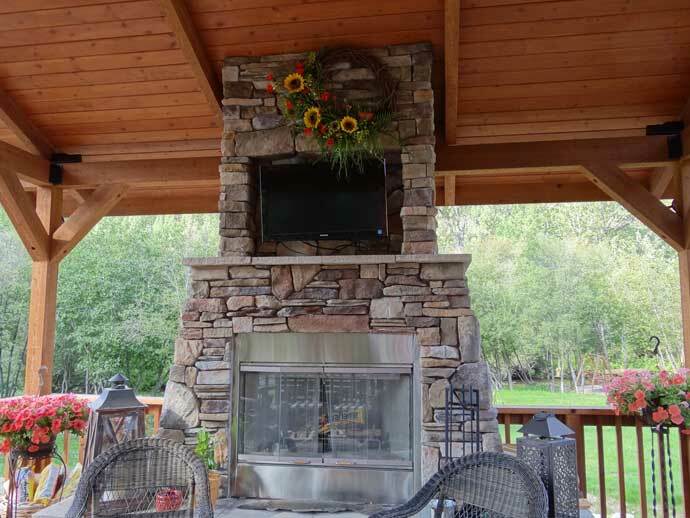 This wreath was custom made for to add vibrant color on this lovely outdoor covered deck. 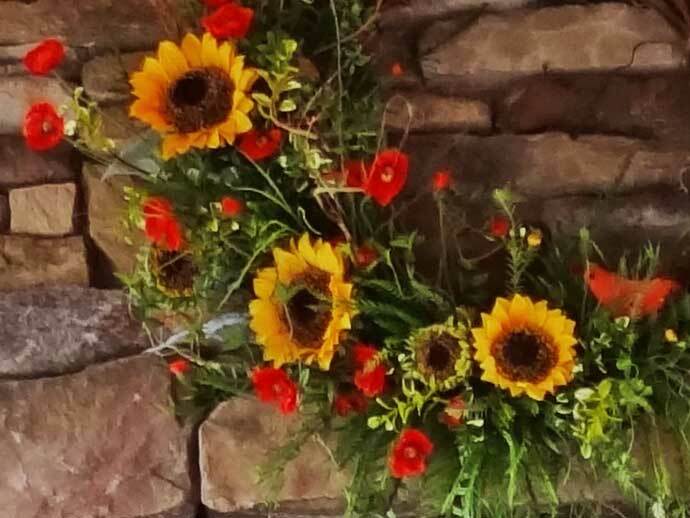 Add beautiful sunflowers and poppies wreath to an outdoor space for a sunny day feeling, even if it raining! Copyright © 2019 River Lodge Interiors. All Rights Reserved.